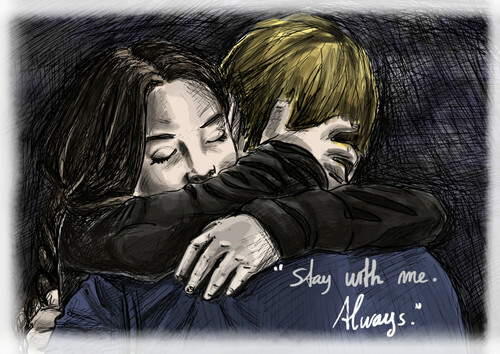 Katniss & Peeta <3. This is one of the most beautiful things I have ever seen.. HD Wallpaper and background images in the Peeta Mellark and Katniss Everdeen club tagged: the hunger games fan art drawing katniss everdeen peeta mellark. This Peeta Mellark and Katniss Everdeen fan art might contain potret, headshot, closeup, and headshot closeup.